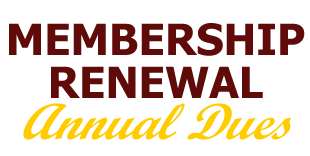 You may send a $60.00 check by mail for your membership dues or pay securely online using a credit or debit card by using the PayPal button below. If sending a check please make your check payable to “HT Alumni – Houston Chapter” and write “Annual Dues” in the memo section of your check. Please note that there is a $2.00 service charge if you are paying online. The $2.00 is to cover the cost of processing fees that HTIAA – Houston is charged by PayPal for the transaction. National and Chapter Dues will be $62 if using PayPal and Associate Members Dues will be $27. Please use the PayPal form at the bottom of this page. 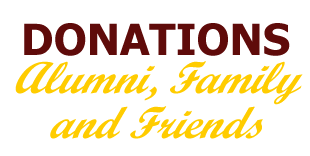 Thank you, in advance, for your donation to the Houston Chapter of the Huston-Tillotson International Alumni Association. Each year we select incoming and current students to receive Alumni Association scholarships. Scholarships are generously donated by alumni, family and friends of the University and are awarded to students from a variety of disciplines and backgrounds. The number of scholarships awarded varies from year to year. Please use the PayPal form at the bottom of this page to select a $10, $25, $50 or $100 donation amount or enter any amount you choose to donate in the box labeled “Other Amount”. 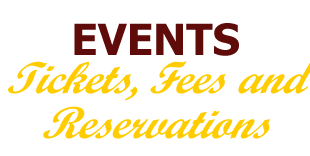 As we post information on upcoming events in our News and Events section we will update this section with links that will allow you to pay any fee’s associated with the event. The links will allow you to make your reservations, purchase tickets or pay any fees associated with the event securely, online and with ease using a credit or debit card through PayPal. You DO NOT need a PayPal account to make a payment or donation through PayPal. Once you press the Pay Now button you will be taken to the screen shown on the right below. 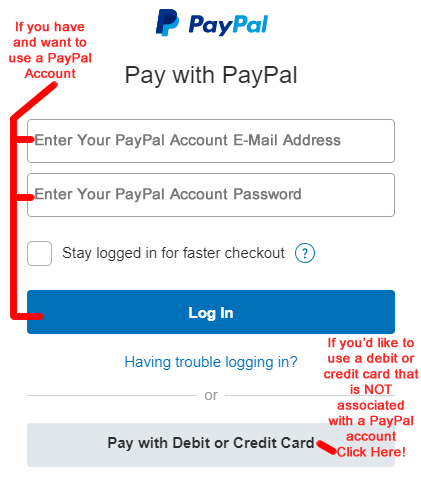 There you have a choice of using an existing PayPal account or a debit or credit card that is not connected to a PayPal account.